Sad news today. My dear Shanghai Disney friends (let's face it, they're family) Adam and Jan Ostegard just lost a lifetime of irreplaceable original artwork along with almost everything else they own. Adam is a Disney artist, who I hung out with frequently in Shanghai and text nearly on a daily basis now that he's in America. 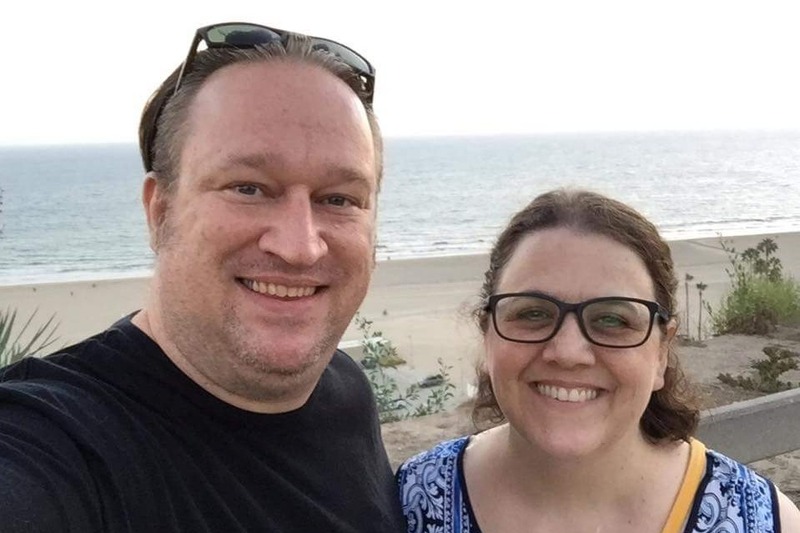 He's been in Los Angeles over the last year, and he and his wife were just getting ready to do a cross country move to Florida to start a new job there. They'd finished packing up their U-Haul truck for the day with almost every single thing they owned and then went to bed, ready to get an early start after just putting a few more items in truck in the morning. That night, someone stole the whole truck from the street in front of their house. They live on a tiny, dead end street where two cars cannot pass at the same time, and there is zero through traffic, so the thieves knew what they were doing and specifically targeted their truck. 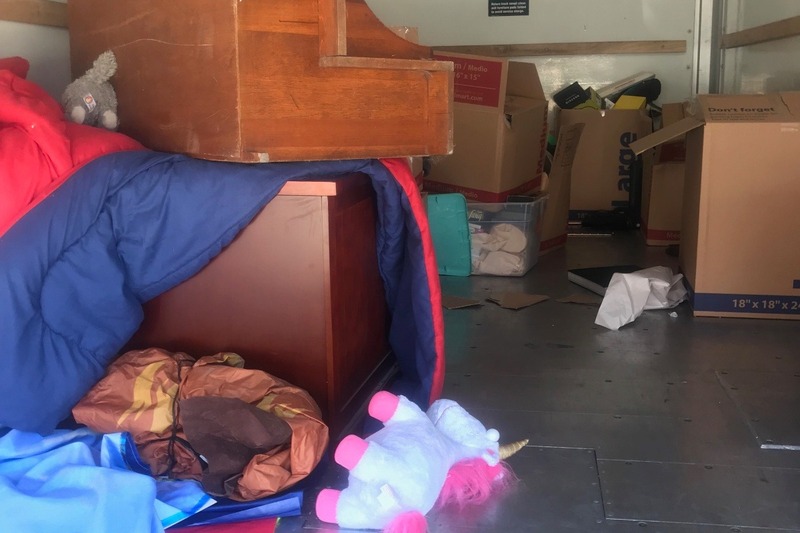 The truck was found abandoned by the police, the thieves had gone through each and every box and taken all Adam's 22 years of artwork for Disney, Universal, and others. They left behind a few family photos (thankfully) and even some high value non-art goods, which seems they had a specific goal in mind and knew what they were going to get when they took that truck. If you own anything at all from Shanghai Disneyland's Grand Opening, chances are Adam designed it. 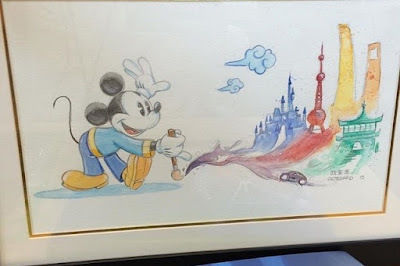 And if you collect Disney memorabilia and suddenly find a bunch of artwork or collectibles created by Adam Ostegard on the market, including the piece below, chances are it was stolen. Please reach out so we can do something about it. But in the meantime, can I ask for you to donate a small (or large) amount of money to help Adam and Jan? They lost nearly everything, not just the irreplaceable original art... I'm talking furniture and personal goods as well. I'm so angry about this. My husband and I were at Hong Kong Disneyland when we got the text from Adam saying what had happened. I shed some horrified tears and then looked around at the park we were standing in... everything around us had a Disney artist's fingerprints on it, in the DNA. 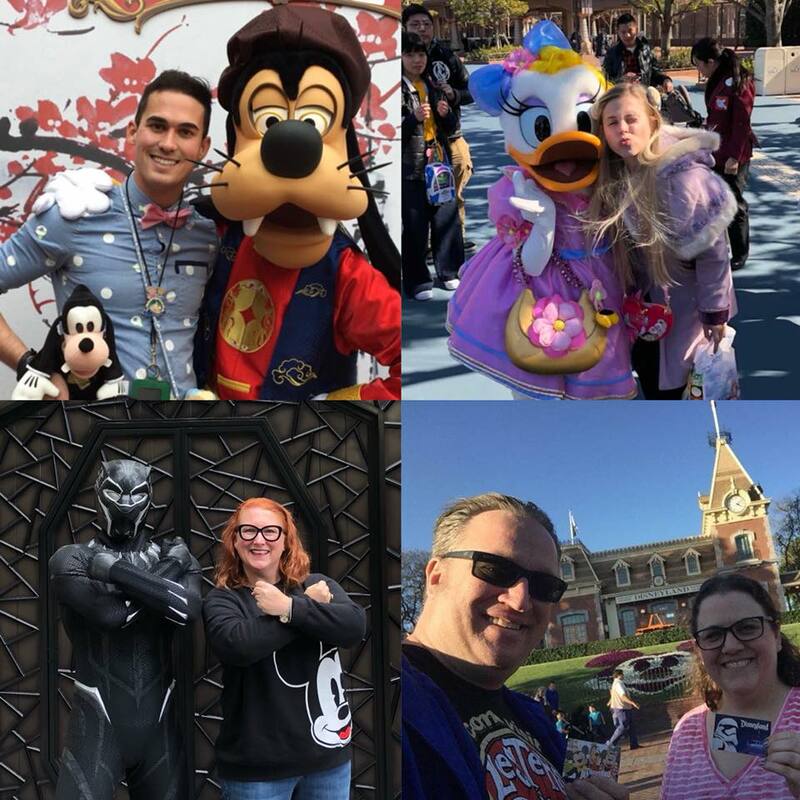 Disney brings joy to thousands of people every day around the world. Let's bring some joy to a person who has been directly responsible for being part of that joy. Please share this, especially if you're part of any Disney groups. There are images of his stolen work in the Go Fund Me link. *Updated to add: If you come across any of Adam's suspected stolen art or collectibles for sale online or at a show, please send a link or other information directly to Adam at Ostegard74@gmail.com. 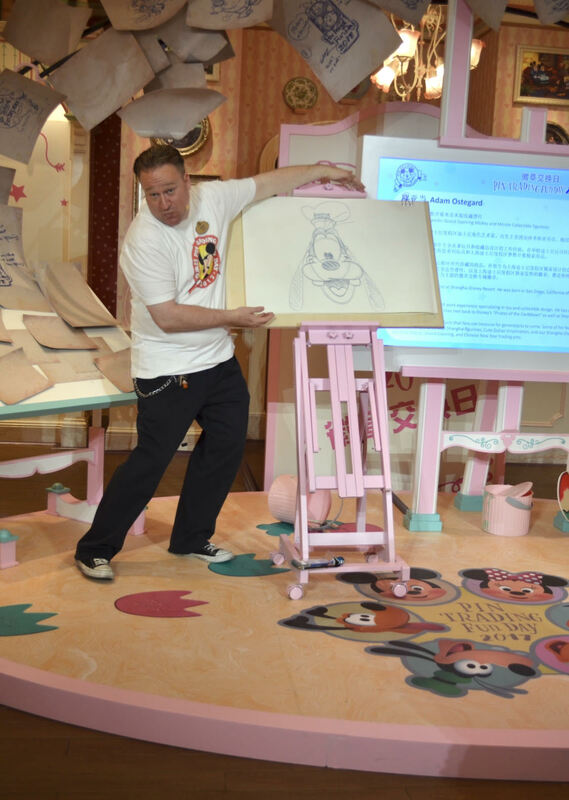 Sketching live for Shanghai Disneyland's first Pin Trading Fun Day. 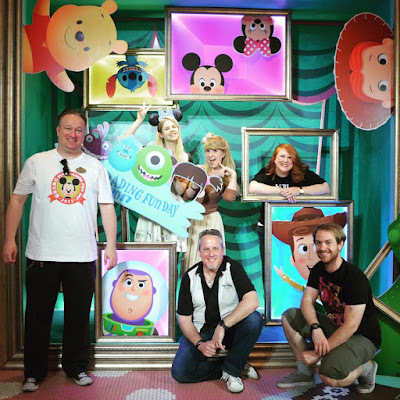 Shanghai Disneyland's first Pin Trading Fun Day, where we all came out to support Adam who was creating art for the thousands of Disney guests who came to see him and his work. Adam's last birthday, when my friends Jacob, Hollie, and I went to our closest Disney theme parks (Shanghai Disneyland, Tokyo Disneyland, and Hong Kong Disneyland) to take a photo with a character to send to Adam who was at the original Disneyland with his wife, Jan. Adam and Jan are wonderful people. Please share the Go Fund Me link!